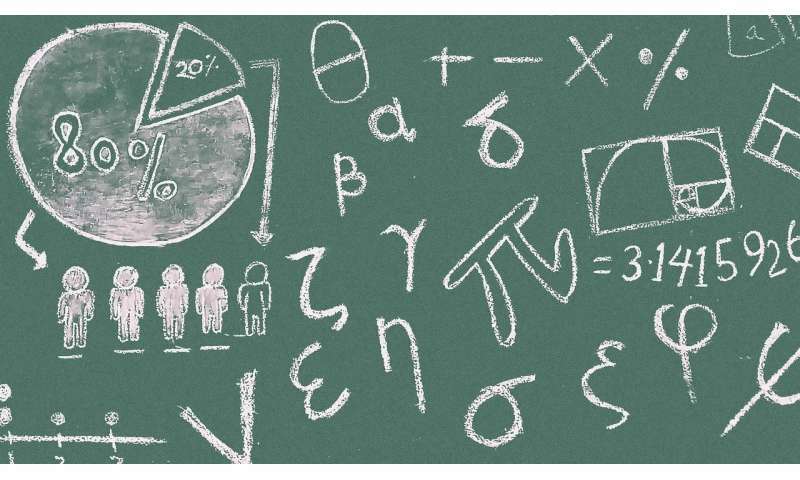 Dr. Kinga Morsanyi and a team of experts from the School of Psychology at Queen's University Belfast carried out research on the prevalence of Specific Learning Disorder in mathematics (SLDM), which is also known as dyscalculia. Dr. Morsanyi explains: "In society, there is sadly a widespread notion that you need a special talent to be good at maths, and that struggling with maths is normal for some people, but this is not the case and it's not something we would accept if a pupil was unable to read. "Our study, which was funded by The Nuffield Foundation, shows that in almost all cases, children who appear to have dyscalculia are not being diagnosed. Within the sample of children with dyscalculia, 80 per cent of the children have other developmental conditions, such as dyslexia or speech and language difficulties. As the current practice is to assign one diagnostic label to each child, this could partially explain why mathematics difficulties are so often ignored." She adds: "Based on our results, it seems likely that children with persistent, serious difficulties with mathematics, unlike children with dyslexia, do not receive specialist support. A child with dyslexia is more than 100 times as likely to receive an official diagnosis and educational support, and even if a child is diagnosed with dyscalculia, there is no standard process in place to support them." Dr. Morsanyi comments: "Through the study, we found that girls, on average, tended to have somewhat higher IQs and English performance than boys, so a similar performance in maths could actually be interpreted as a relative underperformance in the case of girls. This raises the possibility that girls with maths difficulties are particularly likely to not receive sufficient educational support. "It is important to raise awareness of dyscalculia, as numeracy difficulties often lead to problems in later life, including greatly reduced employment opportunities, increased health risks and an increased risk of involvement with the criminal justice system. For example, 65 per cent of prisoners have number work difficulties, whereas the figure for literacy difficulties in the prison population is lower, at 48 per cent."